DALLAS (AP) — Delon Wright set career highs with 26 points and 14 assists in his first triple-double after Dirk Nowitzki’s first dunk of the season opened the scoring in what could be his second-to-last home game for Dallas, and the Memphis Grizzlies beat the Mavericks 122-112 on Friday night. The 40-year-old sent the Dallas bench into a frenzy. Among those celebrating in street clothes — putting his hands to his head with his mouth open — was young Euro star Kristaps Porzingis, who grew up watching the 7-foot German and has said he’d love to play with Nowitzki next season. Nowitzki hasn’t said he will retire, but the team has big plans for the final home game of the season Tuesday against Phoenix. Grizzlies: Wright had 10 rebounds. His previous scoring high was 25 twice, most recently March 5 against Portland. … Chandler Parsons, who spent two seasons in Dallas and still gets booed by Mavericks fans after signing with the Grizzlies as a free agent three years ago, scored 11 points. … C Tyler Zeller scored 10 points after signing for the rest of the season earlier in the day. 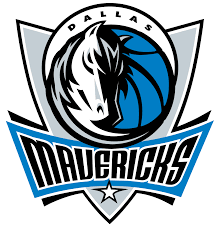 Mavericks: Lee led Dallas with 21 points, and Justin Jackson added 19. … Nowitzki led the Mavericks with his seven rebounds, and Lee had a team-high seven assists.